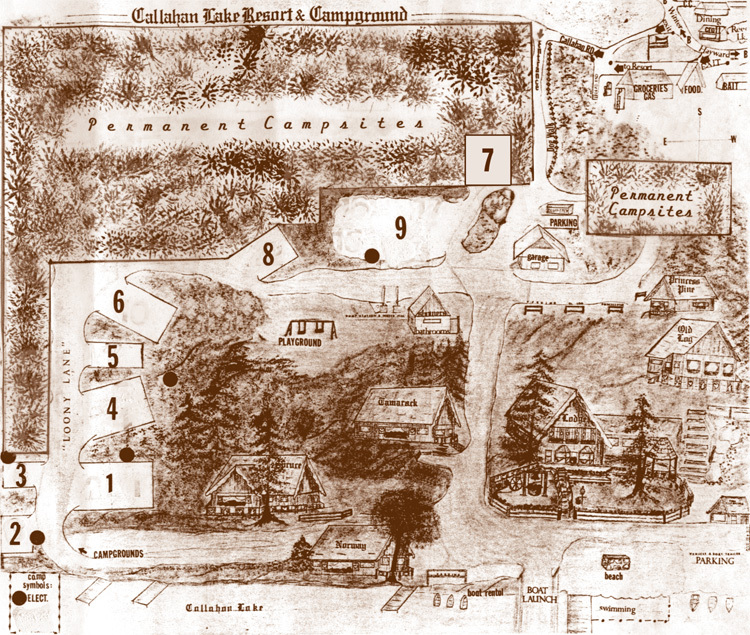 The campground is located on a terraced, wooded hillside setting overlooking Callahan Lake. Some of the sites are directly on the shoreline, but all others have easy access to the shoreline and a view of the lake. The showerhouse/bathroom, playground area, water-fill station and sanitary station are conveniently located in the center area of the campground. Each area has access to electrical hook-up. Picnic tables and fire rings are in each site.